Drinks to get you in the mood of the season. This is a delicious festive holiday drink made with cranberry juice, orange and lemon slices, and port wine. It goes perfectly with a Thanksgiving dinner! Add ice to a pitcher and add sangria. Serve the sangria in wine glasses. 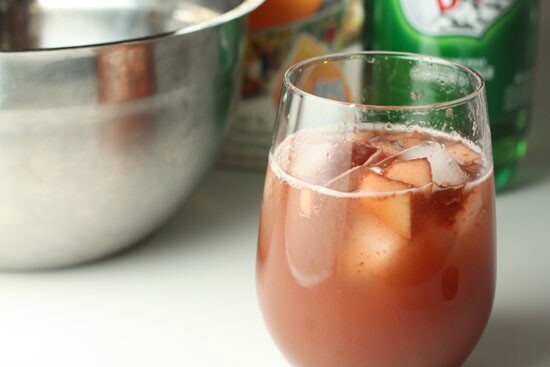 Made with Port, which is red wine that’s been fortified with Brandy, this punch tastes like a summer sangria. Most sangrias (including the white variety) are mixed with some type of hard liquor, but by using port the extra booze is already included. That being said… sip this one cautiously! Cut segments out of oranges. Peel and core the apples and dice into chunks. Add fruit to a bowl with lime juice and port. Let marinate for 1-2 hours or overnight. Mix 2 parts of the port mixture with 1 part OJ and ginger ale in a tall glass with ice.